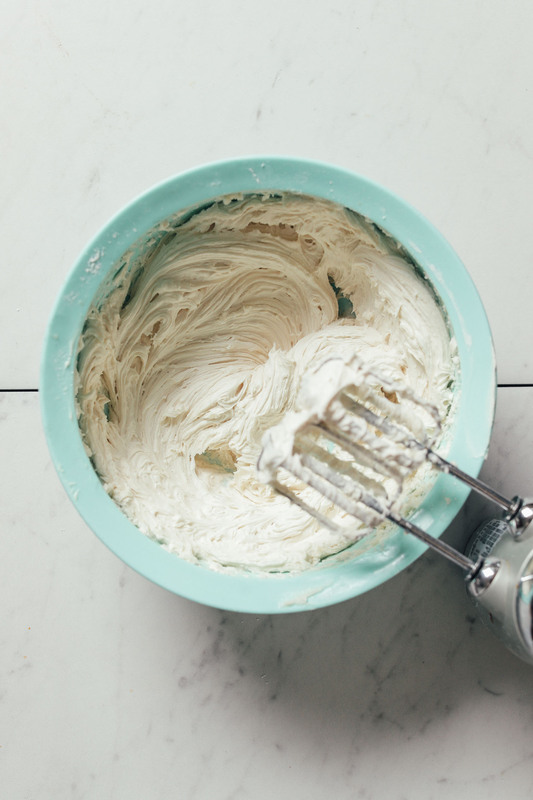 If you’ve ever wondered how to make dairy-free buttercream frosting, you’re in the right place! 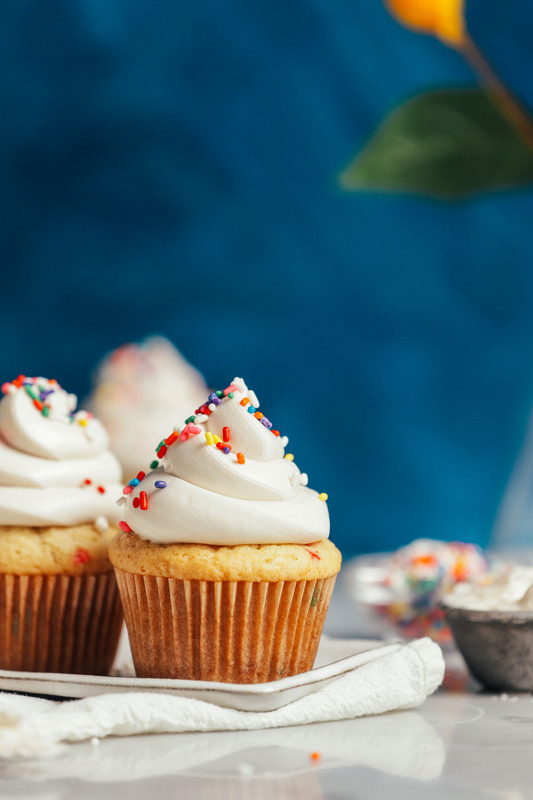 This step-by-step tutorial will demonstrate how easy it is to make perfect dairy-free buttercream frosting every time! Plus, we share our favorite dairy-free butter brands, tips for success, and recipes to put it to good use! The dairy butter is replaced with vegan butter. 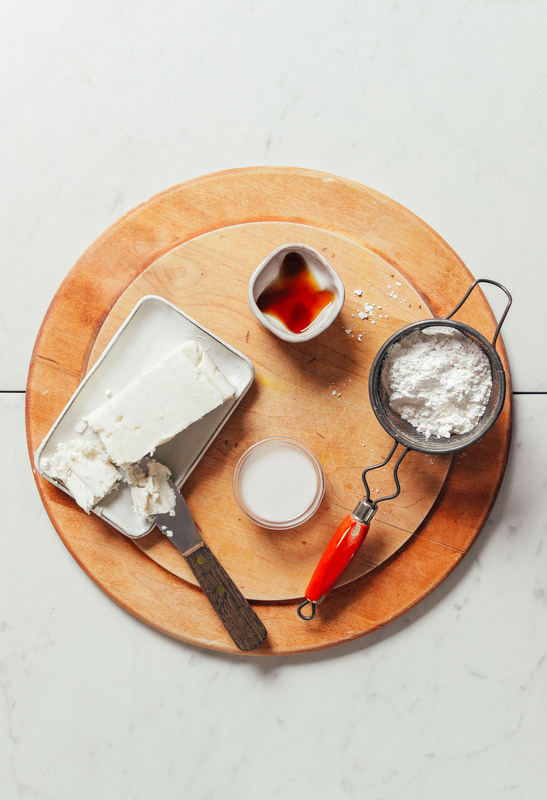 The whipping cream or milk is replaced with non-dairy milk. We hope you LOVE this recipe! If you give it a try let us know! Leave a comment, rate it, and don’t forget to tag a photo #minimalistbaker on Instagram so we can see what you come up with. Cheers, friends! 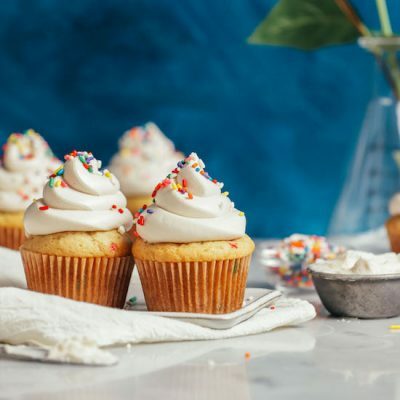 Fluffy Dairy-Free Buttercream Frosting made with 4 simple ingredients and 1 bowl! Perfect for decorating cupcakes, cakes, and more! Add softened vegan butter to a large mixing bowl and use an electric hand mixer to cream butter until light and fluffy - about 1 minute. Then add vanilla and mix once more to combine. 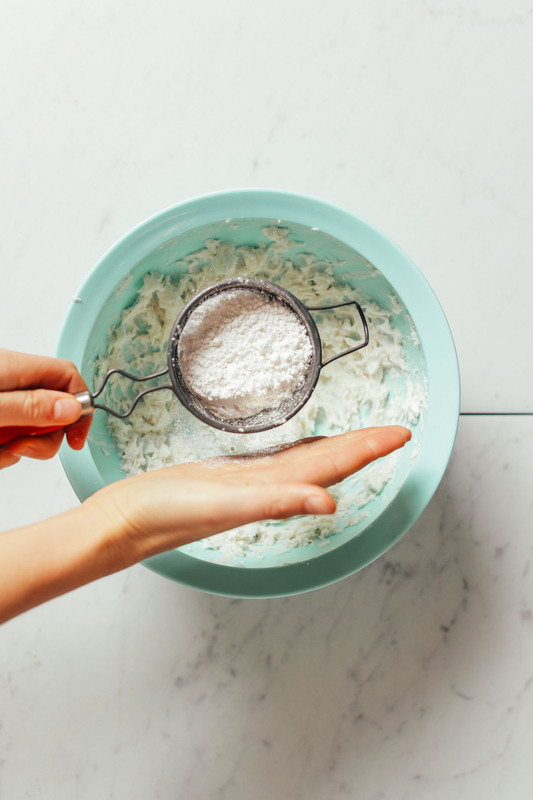 Add sifted powdered sugar in 1/2 cup measurements and continue mixing until well combined and fluffy, scraping down sides as needed. If too thick, add 1 Tbsp at a time of dairy-free milk until desired consistency is achieved (optional). Use immediately or store frosting in the refrigerator for up to 1 week or in the freezer up to 1 month. *Frosting will melt and spoil if kept at room temperature for too long. 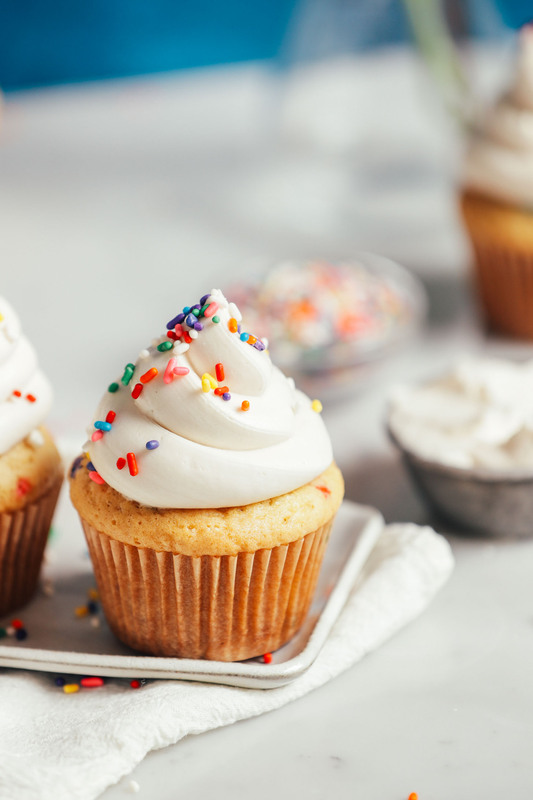 We recommend frosting immediately before enjoying or storing cupcakes in the refrigerator after decorating. *Nutrition information is a rough estimate calculated with Miyokos dairy-free butter and with lesser amounts of ingredient ranges. Hello I am always confused with coconut milk. Do you mean the kind in the can or the kind in the milk carton? Thanks! Will definitely try these. Hi Noelle, In this recipe, we recommend full-fat canned coconut milk, but the carton milks should work as well since it is a small amount and is primarily used to add moisture, not flavor. Hope that helps! Hello! Would this recipe work for making decorative flowers? We think that would work well- Earth Balance would probably be a better choice than Miyokos for this. We would recommend using the maximum amount of powdered sugar you can without it getting clumpy. Also, it would be best to omit or reduce the dairy-free milk. Hope that helps! Yes! Awesome. Looking forward to trying this out.